Featured Student Artist: Isabella T.
Today we are featuring 10-year-old Isabella T. Isabella lives in Austin, Texas with her mom, dad, and dog, Star. Isabella’s art piece “Ella” was a Top Ten Winner in our Fall 2011 art contest. Ella is a friend of Isabella’s that she was inspired to paint as part of a series of portraits that she is doing on different girls. 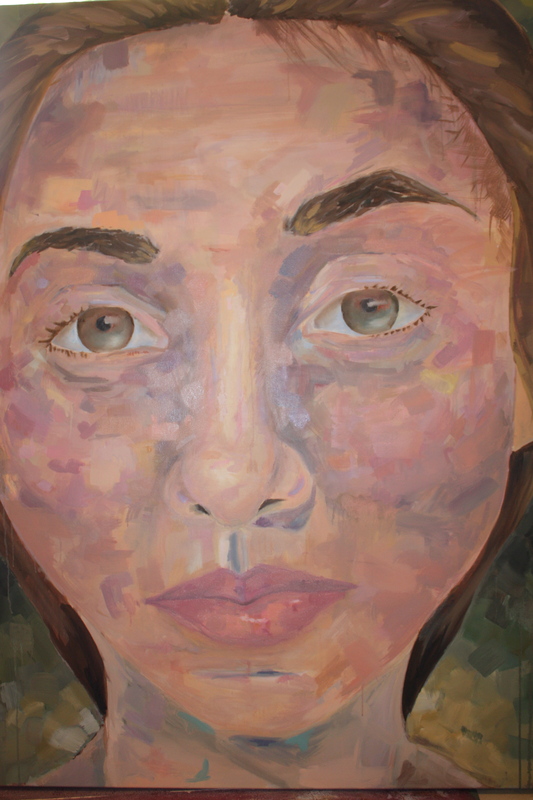 Isabella is working on a 10 portrait series and trying to capture the essence of each girl she paints. Congratulations, Isabella, on being selected as a Top Ten Winner! You are a very talented young artist and we hope you continue to enlighten the world with your beautiful talent. As our judges read each poem and look at each piece of art, it is amazing what these students create. Many of the teachers become unmet friends. Where as many class assignments are generic in nature, many pieces of art and poetry have a clear thumbprint from that teacher’s style. Yesterday, I was judging art and without seeing the school or the teacher’s name, I could identify both by the art that was submitted. It was a school in Texas, whose students each do a very original painting; however, the style is so refreshing and unique that it is very identifiable. The goal of our publication is not to hit percentages, but to publish good art. For this teacher, all 55 of her students, covering grades 1-8, were accepted to be published. Each piece was several grade levels above where they would normally be. For poetry, we have many schools that I can identify the teacher and the school by the students’ work. One such school, in California, does not follow the normal conventions of formula poems where the students follow a pattern, but they each create original thought and style. This school has had many Top Ten Winners over the years. Another school in Northern Idaho is based on the classics and their entries are identified by the use of the old style pen that takes an ink cartridge. Each thumbprint that a teacher creates through their students’ work makes us feel like we are meeting and judging the work of old friends. Would we know them on the street? No. But the quality of their students’ work makes them very well-known in our office. Each year I have students who sit on the back row who I thought were just another student in the class. I am a bit surprised when these students come forth asking for a letter of recommendation for graduate school. Of all their teachers, I stood out. I was not aware of my influence, but it was there. For every teacher, your thumbprint on your students may not be obvious, but we all influence in ways that are not always visible. Keep up the good work. 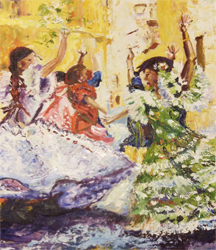 For more information about our national art contests, go to www.CelebratingArt.com. Featured Student Artist: Kaia W.
Kaia W. is today’s featured student artist. Kaia is a third grader who attends Manzanita Elementary School where she enjoys learning about art from her teacher there, Mr. Tiffany. 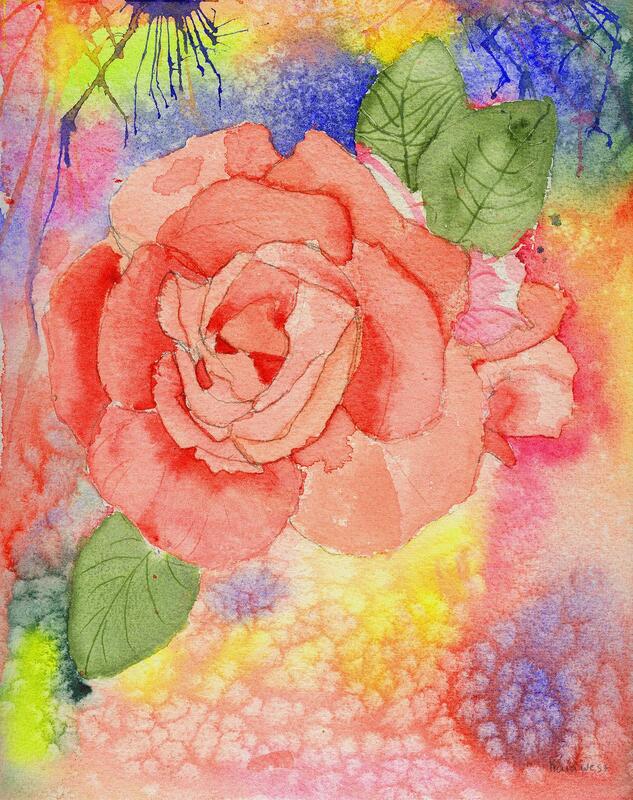 Kaia shares a love of watercolor art with her grandmother, Katherine. Kaia and her grandmother both study art with the same private art instructor, Judy Christopher. Congratulations, Kaia, on being selected as a Top Ten Winner! You are a very talented artist and we are excited to see more of your work in the future. Go to www.CelebratingArt.com to find more information about our national art contests. This last week was a week of honors for two of my children. Within three days we had the Utah State Regional History Fair (where they took 2nd in documentary and are going to the state competition); Utah Math Competition, where they were both selected in the top 10 students in their grade in math; and today my son is at Utah State University in the Honor Band preparing for a concert made of the top students from area schools. Each of these events creates an experience and an accomplishment that they will remember for the rest of their lives. For your students, we are glad to be here to create honors for them. As we are getting close to the art contest deadline I reflect back to the calls I received last semester from teachers telling me of the energy that is created when the students receive our postcards saying that students are accepted to be published. One teacher related that there is “a buzz in the halls” and “an excitement that can’t be replicated by classroom teaching.” We are glad that we can be here to partner with our teachers. As the deadline gets closer, remember to send in your students’ work by April 3rd. Good luck and I hope we can create some memories and honors for your students. Go to www.CelebratingArt.com for more information about our national art contests. Featured Student Artist: Maxine H.
Eight-year-old Maxine H. is today’s featured student artist. 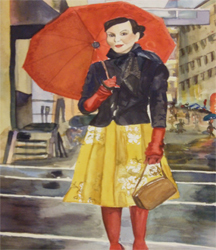 Maxine was a Top Ten Winner in our Fall 2011 art contest. 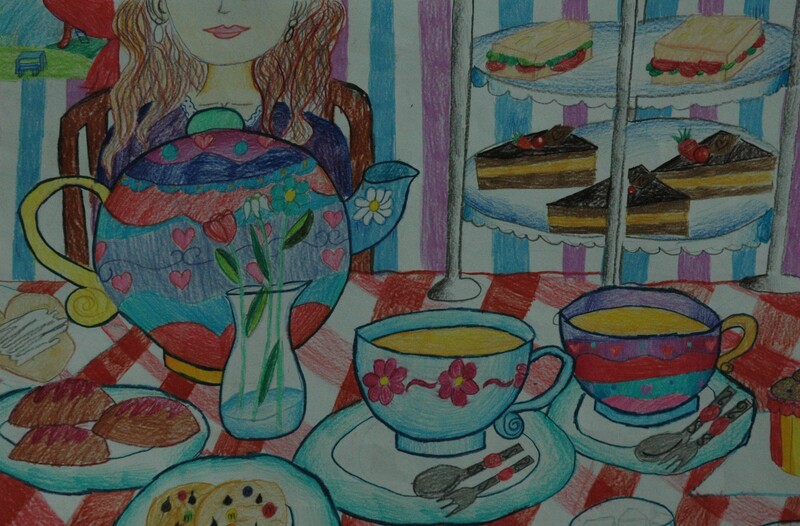 Her drawing entitled “Afternoon Tea” was inspired from having afternoon tea with her mom with all of the fancy looking food, plates, and teacups. CelebratingArt asked Maxine to tell a little about herself and her hobbies. Congratulations on being selected as a Top Ten Winner, Maxine! Keep up the great work and we hope to see more of your work in future contests! To view other Top Ten Winners for our Fall 2011 contest, click here. We often receive emails asking if a student can make a reproduction of a famous piece of art or a photograph that is well know such as an album cover. The answer depends on if the student is using the famous painting as a starting point or if they are trying to authentically reproduce the art. There are two levels to the judging: being accepted to be published and being a Top Ten Winner. To be a Top Ten Winner, we like originality. If you take an image that is well known such as a Van Gogh, your rendition of it may be good enough to be accepted to be published; however, due to the fact the composition was originally created by someone else, it would most likely not be chosen as a Top Ten Winner. To be accepted to be published, one can take another person’s work and then add their own style. Don’t try to copy it exactly. Take a work and put your touch to it so we can state that it is your work. There are many copyrighted images, such as Mickey Mouse, that we have taken the position that they are not acceptable. We don’t ever want to have a quarrel with Disney or Pixar concerning their images in our book. With the deadline coming up in just over 2 weeks (April 3rd), we hope you will have your students join our Celebration of Artists. You can always look at the winners online and see the styles represented. Good luck to your artists. Featured Student Artist: Dimitri P.
Dimitri P., today’s featured student artist, was born in Paris, France on November 3, 1994. He lived in Paris for four years before moving to the United States. He is now a junior at Starrs Mill High School in Georgia. Dimitri’s father is originally from Paris, and his mother is from Quito, Ecuador. This exposed him to different cultures early on and throughout his life. Dimitri has two siblings: a twin brother and a younger brother (who was born in the states). Dimitri’s family moved to America because his father had to go to Georgia Tech to complete his Master’s degree. Originally they planned on staying in America for just one year, but plans changed. It has now been 11 years since the time when Dimitri’s family first came to the United States. 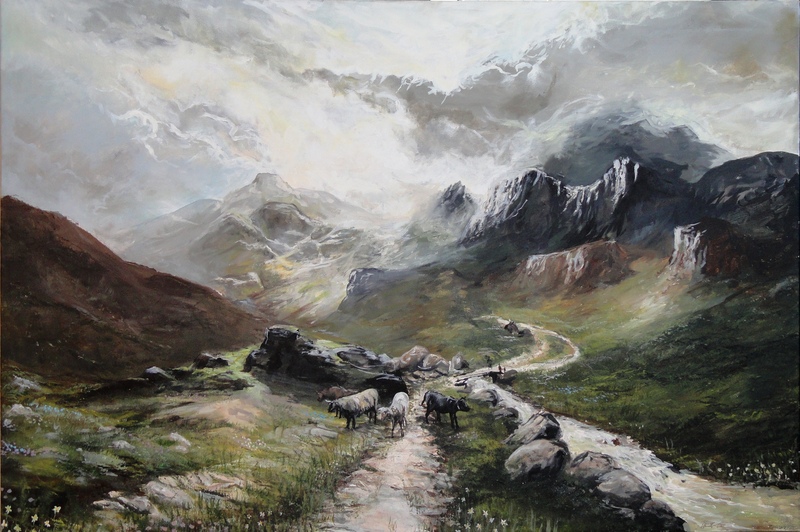 Dimiti’s art piece, “Grazing Cattle” was selected as a Top Ten Winner for CelebratingArt‘s Fall 2011 art contest. His art was chosen out of several thousand entries. Thank you Dimitri for sharing your incredible talent. We are excited to see where your work takes you in the future. If you would like to view more of Dimitri’s work, visit his website at http://dimitriartworks.shutterfly.com/.